The Dormont 16100NPFS24 gas connector hose is made of rugged, corrosion-resistant 304 stainless steel. It is designed to withstand the rigors of the most demanding kitchen environments. An anti-microbial PVC coating ensures ease of cleaning and sanitation. 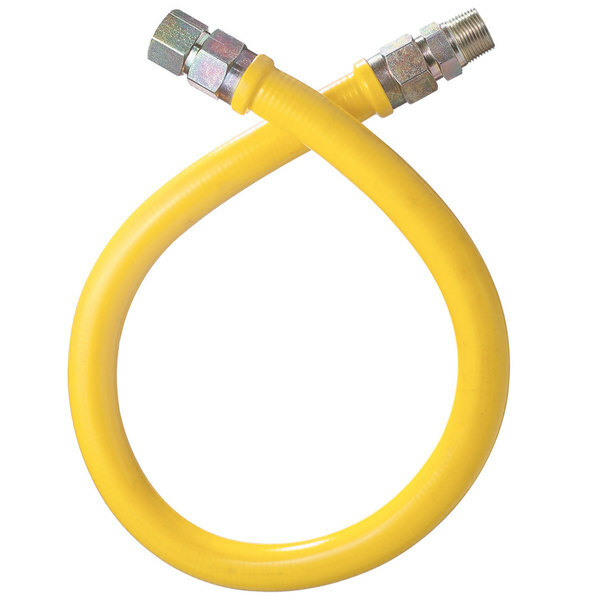 This 24" x 1" gas hose is designed for the safe and effective installation of stationary fixed-leg, or curb-mounted equipment in any commercial kitchen.